Slight bit of shameless self promotion. 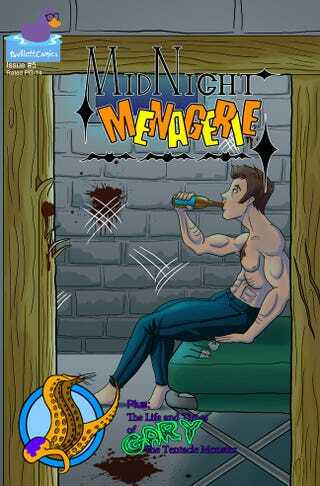 Issue #5 of my horror series Midnight Menagerie is now available on Comixology through Comixology Submit. If you like the work I post during my Craf-TAY Corner posts and the writing I do in my articles, I really hope you’ll check out the series. If you enjoy classic horror and lots of thoughtful humor, I’m sure you’ll enjoy it. You can purchase Issue #5 and the rest of the series here.